Guptkashi located in the midst of the lush green forests in the Northern Himalayan range at an elevation of 1319 m. Gupkashi means “Hidden Kashi” and has legendary significance associated with the epic Mahabharata. This town is religiously important and is famous for various historical temples like Ardhnareshwar Temple and Vishwanath temple. It is located near to famous pilgrimage Kedarnath and the religious importance of the Guptkashi is considered next to that of the holy city Varanasi. 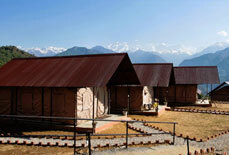 People can enjoy the picturesque backdrop and snow covered peaks and the peaceful environment of the religious town. There are various hotels near Guptkashi that provides with affordable and comfortable accommodations with all the modern day facilities for the travellers. 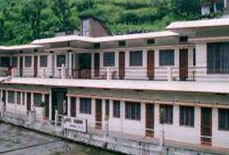 At Tour My India we make it convenient for you to make the booking for the hotels in advance. You can find all the hotels ranging from the budget to the luxury hotels available at the location listed which makes it easier for you to search and make a booking for the finest hotels available. Get the best deal and discounts on hotels booking.